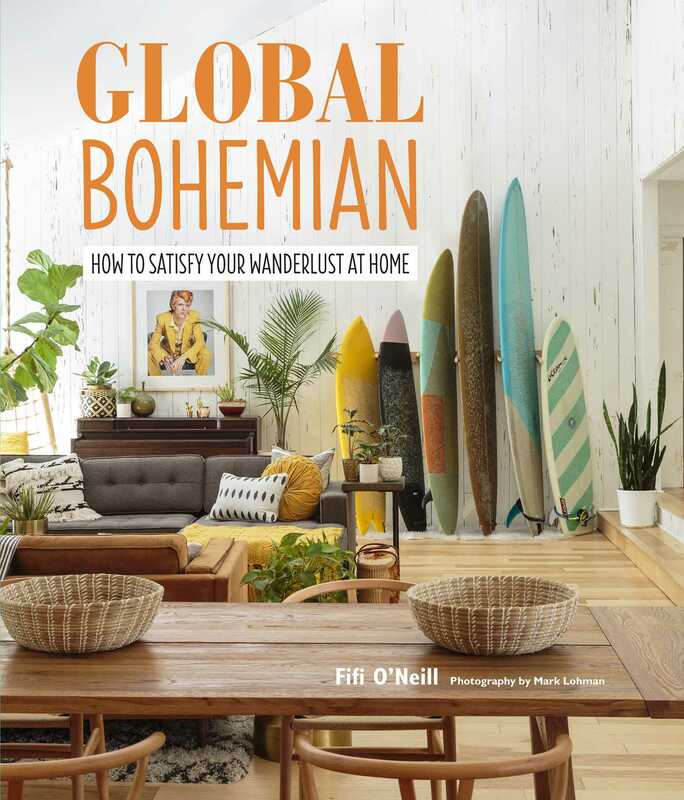 In Global Bohemian, Fifi O’Neill shows how you can bring gypset style into your home, fusing the colorful, eccentric style of bohemian living with inspirations from far-flung places. Why settle for one style when you can indulge your love of several? Whether exuberant or subtle, eclectic or sophisticated, bohemian style welcomes a freethinking approach to decorating. Fifi O’Neill shows you how to combine originality, creative energy, whimsy, and a love of travel to create adventurous, authentic, and enchanting interiors. Find inspiration for making your home truly unique by mixing pieces with traditional style alongside finds from your travels. Whether you want to transform understated spaces by adding intriguing nomadic elements, incorporating tropical and beach motifs, or hints of glamour, Global Bohemian offers ample and affordable decorative options and celebrates self-expression, inspiration, passion, and personal flair.